one of their top priorities. 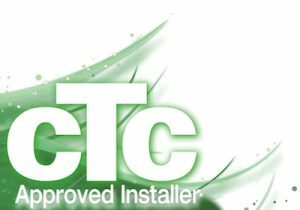 CTC is an international manufacturer of heating products providing innovative renewable heating solutions across the world. For over 90 years our range of high performance products has warmed homes effectively and efficiently. Our complete range of renewable products now includes air to water and ground source heat pumps, biomass wood pellet and log gasification boilers, intelligent controls and our unique energy hub – EcoZenith. Over the years we have enhanced the technology behind our CTC products to ensure they maintain their unique and innovative Swedish design features, giving UK consumers the benefit of a highly advanced, intelligent all-in-one renewable heating solution. Kensa Heat Pumps manufactures the UK’s widest range of ground source heat pumps, and is the confirmed number one manufacturer and supplier in the UK (Source: BSRIA 2012 – 2017). heat pump systems which out-perform the market. applications, Kensa’s ground source heat pumps can significantly reduce energy costs and CO2 emissions, whilst generating a generous income through the Renewable Heat Incentive (RHI). Whatever your requirement or application, we have the right solution for you, that really can make a world of difference. Panasonic have more than 30 years of experience, selling to more than 120 countries around the world, Panasonic is unquestionably one of the leaders in the heating and cooling sector. With a diverse network of production and R&D facilities, Panasonic delivers innovative products incorporating cutting-edge technologies that set the standard for air conditioners worldwide. Expanding globally, Panasonic provides superior international products transcending borders. We are strongly committed to the environment and energy efficiency, Panasonic Heating and Cooling. Solutions offer great performance, which leads to a remarkable reduction in energy bills. Loxone are the worlds leading full home automation manufacturer. They ensure your home works around you, managing everyday tasks to give more time to enjoy life. Their products are premium, yet affordable to those who seek to future proof their home. They believe that your data is yours to keep within your home miniserver ensuring any cloud information is kept to a minimum. What ever your looking to manage, whether it is security for your building, managing your energy or environment, Loxone can do it discretely and trouble free.